Since 2010, we have led the medical community to offer patient centered care that has a strong personal touch and yet being evidence based in our approach. Lake Washington Physical Therapy is a local business in every sense of the meaning. Ben and Sara Wobker began planning for the opening during a trip to Italy in the fall of 2009. They sat in local coffee shops and with pen and napkin began to sketch out the logistics over a cappucino. The napkin blue-print blossomed into a plan to make a clinic that was different and centered in the heart of Kirkland. The message delivered to Ben from Italian shop owners through conversations was one of a slower work pace, simpler life, and with valuable interactions with people. In 2016 we felt the need to grow and Matt & Kelli Sato took the bold step of opening our 2nd clinic in the Houghton neighborhood. They poured hours into the new facility and soon saw the same success as the original facility. Being a therapist owned facility gave Matt the ability to offer best care and hire many of the outstanding individuals that helped build the original clinic. 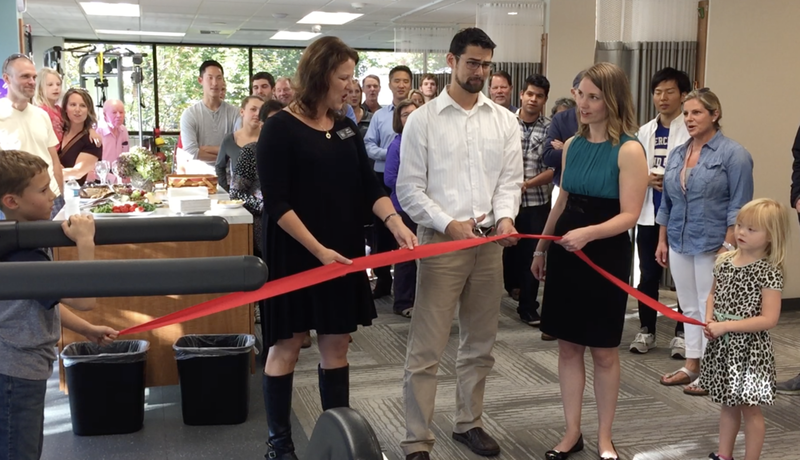 The outcomes for patients and the success was very encouraging and in 2018 we began a joint venture in Wilsonville, OR named Boones Landing Physical Therapy. We proudly partnered with Ben's former students Renee' James & Jason James. The clinic opened in September of 2018.